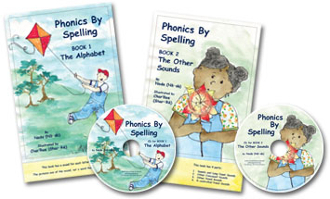 These books and music CDs aid in teaching all 44 phonetic sound to build reading and spelling skills. The musical chants help learners to learn English sounds and the spellings that make each sound. The pictures in the books depict the sound, not something beginning with the sound. The back of each page has a discription of the sound, spellings that go with each sound, and sample wors for each spelling.